The South West region includes much of the UK’s sunniest, sandiest coast, Dartmoor, Exmoor, the New Forest, Stonehenge, the Jurassic Coast, the Eden Project, a slew of pretty seaside towns and villages, arty charmer, St. Ives, Georgian charmer, Bath, architectural charmer, Salisbury and the Isles of Scilly - and those are really just the romantic cherries on the Cornish cream Ice cream of the South West. Our Guru’s collection of the most romantic hotels in the South West includes recommendations close to all of these ‘cherries’, but it also includes some great off-the-beaten track properties perfect for walkers or anyone wanting to escape. If you’re looking for something totally unique in the beautiful Cotswolds, try one of the four, opulent and individually designed suites of Tetbury’s Oak House No.1. 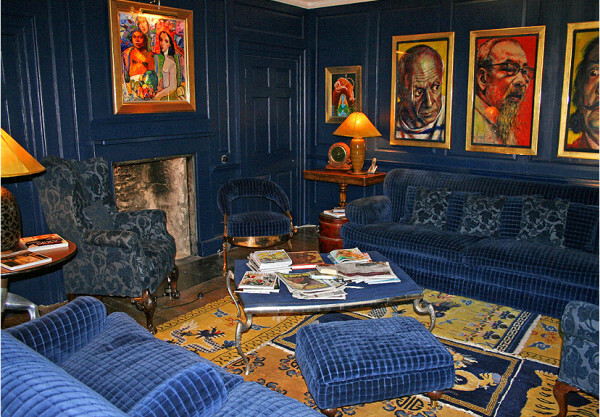 Georgian by age, but eclectic by design and interior, these rooms are fabulously filled with art and antiques collected from around the world. The Hotel Endsleigh is a great honeymoon choice for outdoors-folk, with its intimate, stylish decor by Olga Polizzi and beautiful views over a private stretch of river. Converted from a hunting lodge, this is still a great place for fishing, shooting and rambling, and at the end of the day there are fairytale suites, gourmet dinners and fireside sofas. The Boskerris Hotel in St. Ives is a sophisticated seaside hotel with light, airy, Mediterranean feeling decor and a spectacular decked terrace overlooking the bay. There are amazing views from most rooms and they do a fabulous afternoon tea. The Castle Hotel, Taunton, is a Norman Fortress which has been operated as an inn or hotel since the 12th century. 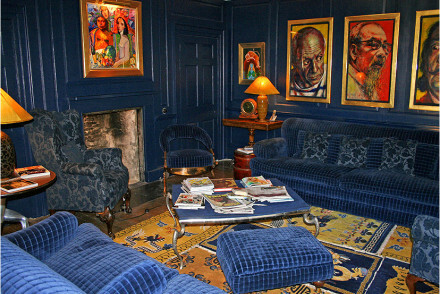 The location is spectacular and the 44 rooms are comfortable and classically decorated, but with all the mod. cons., don’t be put off by the age. There’s a choice of formal dining or something a bit more relaxed. 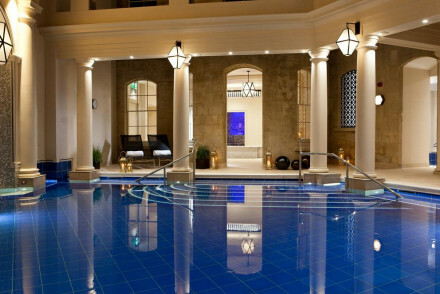 The Gainsborough Bath Spa is where you should stay if you really want the full Bath Spa experience: its world class spa takes full advantage of those famous waters with modern therapies and classic, personalised treatments. The hotel is a Grade II listed building with Georgian and Victorian facades and luxurious, elegant interiors. There are 99 rooms, plus a fine restaurant, a chic bar and a beautiful afternoon tearoom. Private and intimate, the Driftwood Hotel has stunning views overlooking Gerrans Bay near Portscatho. The restaurant has a Michelin star and a fine wine list and they’ll do you a wonderful picnic if you feel you want even more privacy. Surrounded by extensive private gardens this is a great place to come for peace and quiet. The Queen’s Arms is a quintessentially English Georgian era inn in Corton Denham. There are just eight rooms, and a wonderful cosy pub serving locally sourced food - including their own eggs and pigs - plus you’re right by some exquisite National Trust properties and plenty of walking trails. Tor Cottage is an idyllic B&B hidden away down a quiet country lane surrounded by 28 acres of beautiful countryside. The owner is known for doing a fabulous full English, plus most rooms have a log burning stove and a private terrace. There’s also a pool. Sigh. Great for walkers too. The Old Coastguard, Mousehole is a memorable bolthole with good food, spectacular sea views and no TV. There are 14 characterful rooms and welcoming comfortable living areas. And an excellent restaurant. You’re close to charming Mousehole. 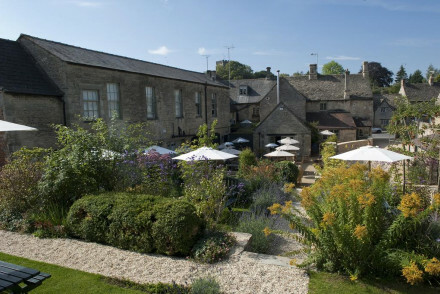 The Close Hotel is a grand, 16th century manor house turned 18 room boutique hotel in the market town of Tetbury. Each rooms has been individually decorated, so choose what you like, from pretty florals to dark country checks. Many rooms have roll-top baths and/ or views. Overlooking 600 acres of National Trust common land, The Ragged Cot is a 17th century inn with nine comfortable rooms and an excellent seasonal menu. This is the perfect country hidey-hole, ideal for walkers and lovers of peace. 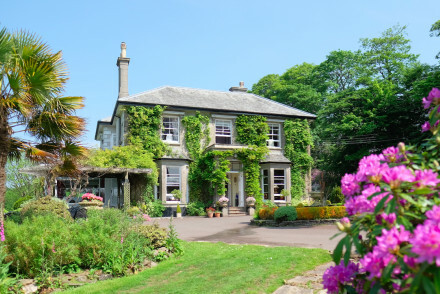 The Old Rectory Hotel is right by to the coast within the Exmoor National Park, so the views are incredible and the atmosphere is relaxed and peaceful. You’re 500 metres from the Exmoor coast path and a 30 minute drive from beautiful Woolacombe Beach. Little Barwick House by Yeovil is an award-winning restaurant with six rooms, surrounded by three acres of beautiful gardens. Unpretentious and relaxing, Little Barwick is a delicious hideaway close to some lovely historic houses and offering unbeatable service. 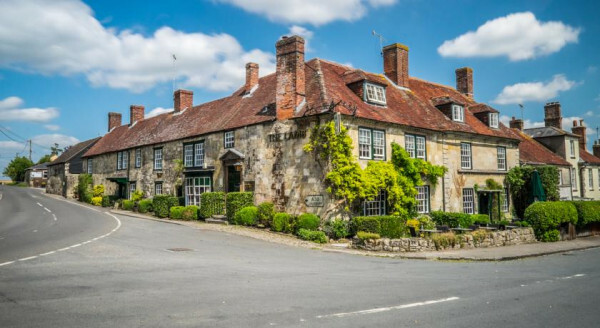 The Lamb at Hindon is an intimate village inn which has amassed 800 years worth of charm and history. There are 19 elegant rooms, hearty meals, roaring fires and the beautiful surrounds of the Salisbury Plains. Wiltshire seems to have a wealth of lovely pubs-with-rooms and inns, and the 15th century Sign of the Angel in charming Lacock is another great example. There are five rooms all with wonky beams, huge fires, oak furniture and antique beds, and a restaurant specialising in locally sourced cuisine. The Castle Inn is even older! This time dating from the 12th century, in Chippenham, a beautiful Cotswolds village on the Bybrook River just ten miles from Bath. Idyllic and peaceful and great for fisher-folk. 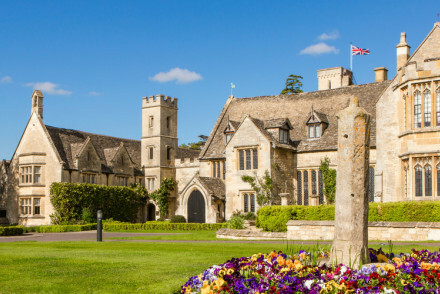 Ellenborough Park is a rambling 16th Century manor beautifully restored, and set amid 90 acres of picturesque, National Trust managed land. There are 62 rooms and suites with opulent details like four-poster beds and quality antiques. There’s gourmet dining and and exotic spa and heated outdoor pool. 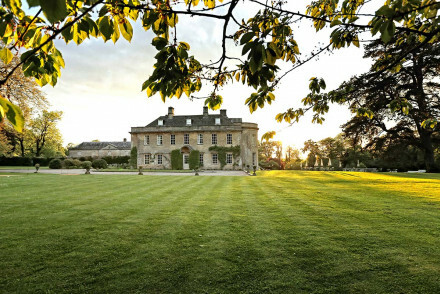 Cowley Manor is a contemporary-chic manor house on 55 beautiful acres of Cotswold countryside. This is the perfect escape for stressed urbanites, with two pools, a gym, an award-winning modernist spa, an menu created by Mark Hix, beautiful grounds and even a ‘lifestyle shop’? Kentisbury Grange is a converted manor house surrounded by pretty gardens right on the edge Exmouth National Park. The Grange has 16 rooms, decorated in a contemporary style and a superb restaurant by Michelin-starred chef, Michael Caines. Jacobean Manor turned luxurious family friendly retreat, Woolley Grange has 26 comfortable, modern rooms, a relaxed restaurant and stunning gardens with beautiful pools. They also have a kid’s club and a games room and run an Ofsted-registered playroom, and offer babysitting. And of course the spa is divine. 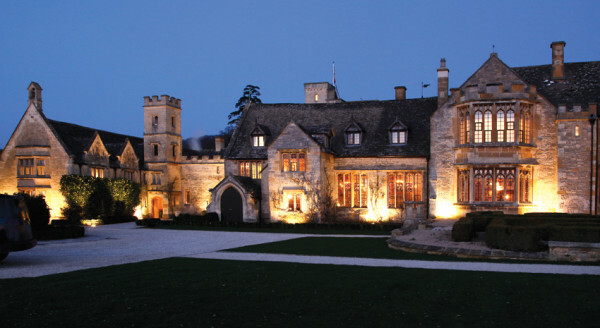 Castle Combe’s The Manor House is an elegant country house turned 48 room hotel with a Michelin-starred restaurant and a superb golf course. The decor is traditional country house hotel and the rooms are luxurious. The gardens are grand - and there’s 365 acres worth of land to explore, including the golf course, croquet lawns, tennis courts and a fly-fishing stream. 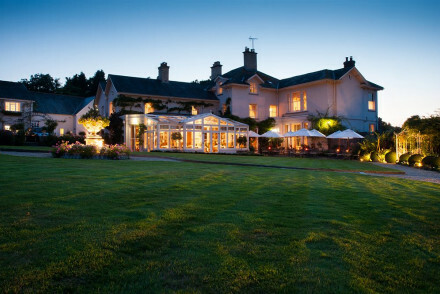 Gidleigh Park Hotel is a super luxurious Dartmoor retreat in 107 ares of beautiful land. There are 24 plush rooms, all with original art and antiques and huge sash windows, plus a two Michelin-starred menu served in a grandiose, atmospheric dining room. 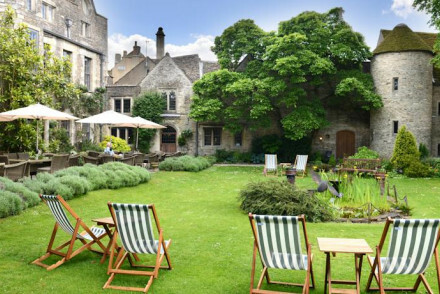 For those traveling with kinder in tow, Calcot Manor Hotel might be the ideal offering - it’s one of the best examples in the country of a genuinely family friendly hotel which also works for couples. Set on its own estate, this converted farmhouse has a beautiful courtyard and old barns all now used for activities, and the spa and indoor pool. 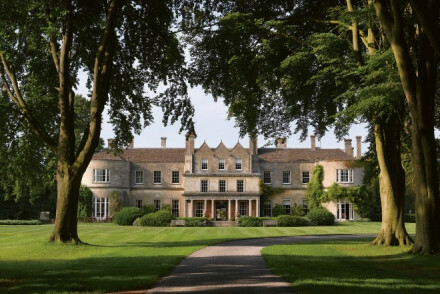 Lucknam Park in Chippenham is a luxurious country home with painstakingly kept gardens and parkland, a restaurant run by a Michelin-starred chef, a beautiful spa with both an indoor and outdoor pool and an impressive equestrian centre. There are 42 rooms with high ceilings, chandeliers and four-poster beds. 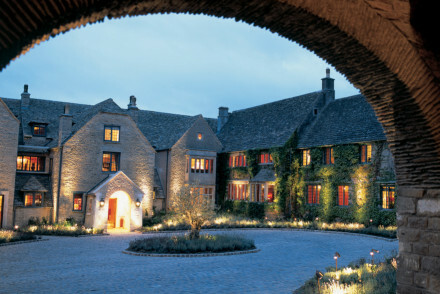 If you’re looking for a luxurious spa escape in the Cotswolds, Whately Manor will not disappoint. The spa is award-winning, the restaurant has a Michelin-star and there’s every mod. con. available, dressed up beautifully. No children under 12. Babington House is a stunning country house near Frome with beautiful grounds and a luxurious bar, restaurant, spa and cinema. It’s a country cousin to London’s Soho House, so expect the same stylish decor and exceptional staff. The Wood Cabin has a private hot tub. Overlooking Mawgan North beach, The Scarlet is a eco-deign hotel with amazing sea views and a stylish cocktail lounge and restaurant. 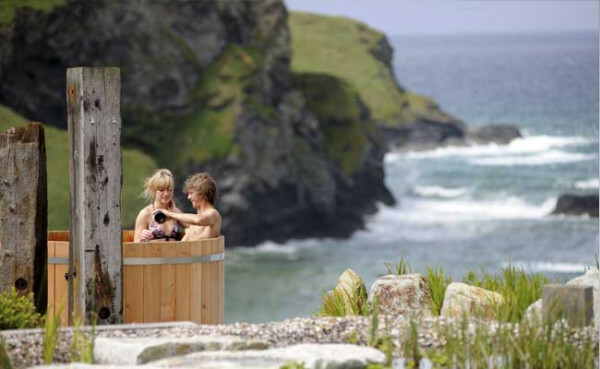 You can reserve a time slot in the log fired clifftop hot tub surrounded by stunning views. 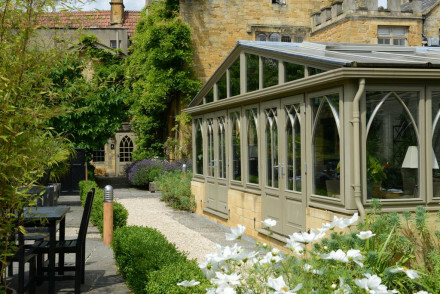 If you’re looking for somewhere romantic try the Manor House Hotel in Moreton in March in the Cotswolds, a picturesque, 16th century charmer, with four-poster beds and award-winning fine dining. If you want your own private hot tub book the Apple Cottage Suite, which also has its own private garden. Orestone Manor Hotel in Torquay is a Georgian manor house overlooking Lyme Bay, turned 11 room vintage chic hotel with bold wallpapers, antique furnishings and a lovely private garden. The food is also very good, and if you book the Garden Suite you’ll have your own private terrace with an outdoor hot tub. 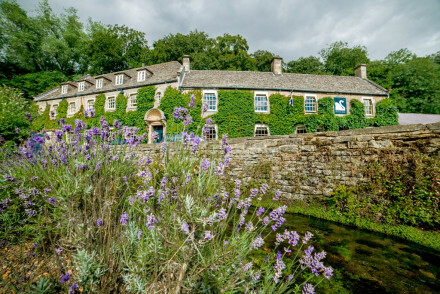 The Swan Hotel, Bibury is a 17th Century coaching inn with wonderful views over the River Coln. In winter expect cracking fires, and in summer the inn opens out onto resplendently coloured gardens. The rooms are cosy, with four-poster beds and floral upholstery, and there’s a private hot tub. If you like the sound of having your own private hot tub, book into a Garden Suite at Lower Slaughter Manor, a relaxed, unstuffy manor house with elegantly decorated rooms and public spaces. Each of the 19 rooms and suites has been individually decorated and there are lovely lawns, ripe for croquet and tennis, and a gourmet restaurant. 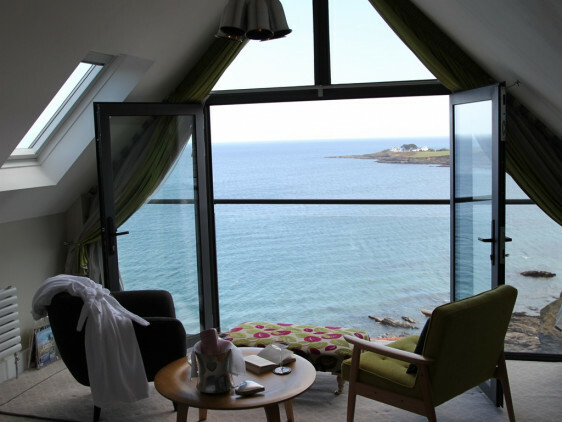 Pebble House on the cliffs above Mevagissey, is a contemporary, luxurious, adults-only guesthouse with incredible views. There are just six rooms and the coast path is right outside the door. The Christchurch Harbour Hotel & Spa is perfect for an indulgent break by the sea. Right on Christchuch Harbour and newly refurbished, this is a sophisticated take on the traditional seaside hotel with a rather glamorous bar and a great restaurant on the ‘top deck’ of the hotel. There’s also a stylish spa. For a rural view, try the Wooden Cabbage, a beautiful private country house with stunning views, fragrant gardens and stylish decor. There are just three rooms and the friendly owners are hosts rather than managers, the breakfasts are locally sourced and you’re surrounded by potential walking trails. The Nare is a country-house style hotel right on the beach with 36 large, elegant, colonial style rooms with sea views. The Nare also offers a choice of two restaurants, and there’s a tennis court, croquet lawn, a spa, indoor and outdoor pools and a bar and lounge. It’s secluded and magnificent. 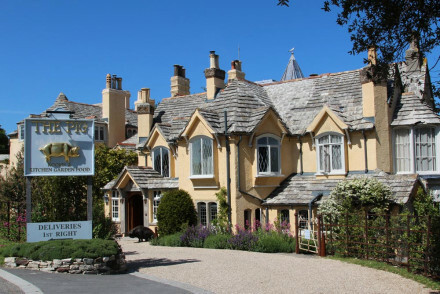 The Pig on the Beach is a shabby-chic, cosy hotel with 23 rooms and a gourmet restaurant which gets as much of its produce as possible from the hotel’s kitchen garden. There are plenty of great vintage finds, furniture wise, with four-posters and stand-alone baths, plus the views are amazing and you’re right by about four miles worth of unspoiled beach. 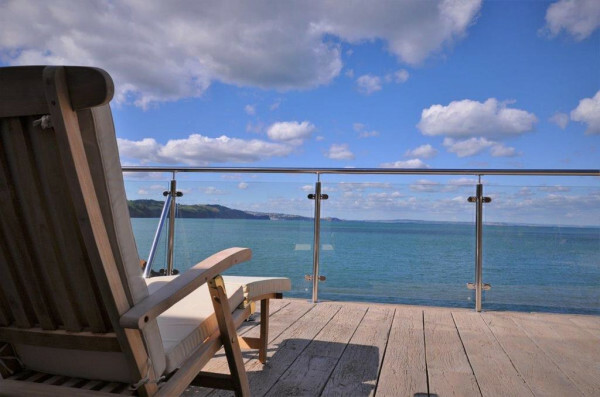 The Salcombe Harbour Hotel is on the edge of pretty, bustling Salcombe, and offers spectacular estuary views, wonderful terraces, a spa, pool and cinema. 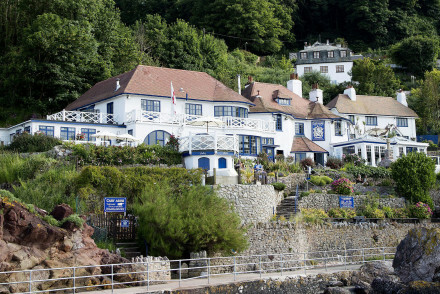 The Cary Arms is a boutique hotel with the charm of a Great British pub and an enviable clifftop position. There are eight, chic, white-washed rooms, glorious spa and a hearty, gastro-pub style restaurant. 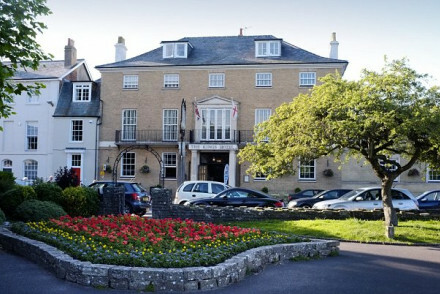 The Bridgehouse Hotel in West Dorset, is a 14 room hotel with wooden beams, open fireplaces and a cosy atmosphere. The decor is quite traditional and romantic and you’re surrounded by some of the most picturesque views in the UK. There’s also an award-winning restaurant. History and literature can both be extremely romantic, so The Old Rectory, where Thomas Hardy met his wife, makes for a wonderfully romantic option. It’s also in a secluded and tranquil spot, and has just four rooms and a lovely walled veggie garden which is where much of the beautifully cooked local food served here originates. Rooms start from around £85 per night. 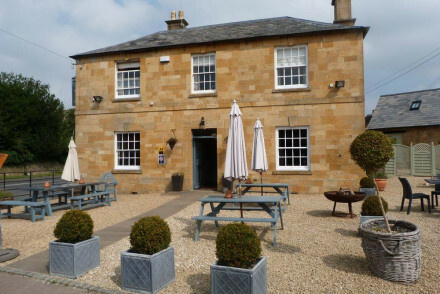 The Seagrave Arms is a commanding, double fronted Georgian property in pretty Chipping Campden. There are just eight rooms with original features like flagstone floors and open fireplaces, complimented with comfy beds snd luxurious linens. The restaurant is great. Rooms start from around £90 per night. Intimate and peaceful, The Limes is a charming 17th country house converted into a cosy, three room B&B. The locally sourced breakfast is served in the dining room or the beautiful garden - depending on the weather - and you’re close to Westbury for the white horse, and to Bath. Botelet is another four room property with a secluded, yet stunning, location and a very reasonable room rate. Botelet is a converted family farm with extremely comfortable and stylish interiors, which haven’t lost their old world charm. There are also cosy yurts if that sounds more romantic to you. You’re about 45minutes from Polzeath Beach. 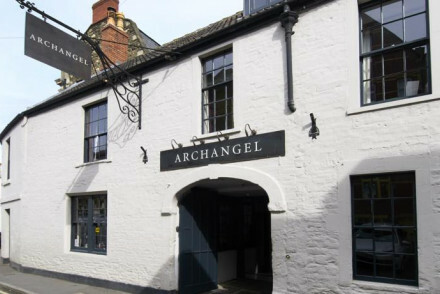 The Archangel is a chic and sophisticated restaurant with ten rooms in Frome. The decor mixes the original and contemporary and there are exposed beams, freestanding baths and some beautiful frescoes. The restaurant is definitely part of the experience and has a lovely sunny courtyard. Boutique B&B in Georgian townhouse. Four luxurious and individually designed bedrooms. Art collection and antiques from around the world. 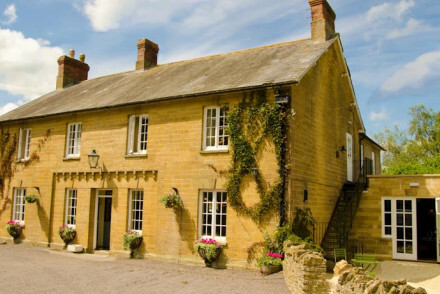 With views over the River Coln this 17th century coaching inn is a welcoming Cotswolds abode. Crackling fires in the winter and viridescent gardens in the summer: the menu is similarly seasonal (and locally sourced). Rooms have an instantly cosy feel with fourposters, gingham and floral upholstery. Sights nearby - The famous Blenheim Palace, birth place of Winston Churchill, is arguably the country's best stately home. Private Hot Tub - Whooper Garden Cottage Suite has its own private garden with hot tub. Great walks - Walk through the village to the postcard worthy Church of St. Mary. Fishing - Catch some trout in the River Coln, just opposite the hotel. 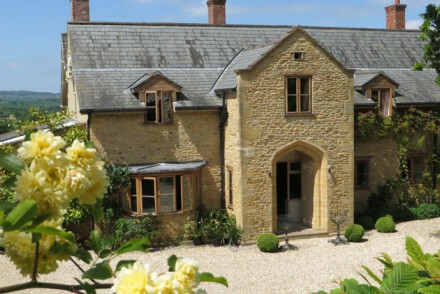 16th century rambling manor restored to its former glory in a beautiful Costwolds setting. Opulent luxury suites boast antiques, four posters and Nina Campbell interiors. A serious country house hotel, with spa, pool and gourmet dining for the ultimate indulgent getaway. Country Escape - Set in 90 acres of stunning National Trust land, with flower filled gardens and a lovely heated pool, just outside Cheltenham. Spa breaks - A well equipped spa with a juice bar, mood showers and an extensive treatment list using therapies from the East and West. Great walks - Borrow hunter wellies and brollies for a stroll in the Cotswolds. Traditional - Traditional country house style with Nina Campbell interiors. Lovely 17th century inn in a beautiful rural spot overlooking 600 acres of National Trust common land. Comfortable rooms and an excellent seasonal menu complete the stay. Fuel yourself for long walks in the country and wind down with an evening by the fire. Country Escape - Surrounded by bucolic Gloucestershire there are plenty of 'country' activities - and lots of pubs. Romantic Break - The perfect hidey hole for a weekend break in the country. Great walks - The National Trust lands of Minchinhampton and Rodborough Commons are prime walking territory. Local markets - The market town of Minchinhampton hs awash with farm stalls and antique shops. Bijou B&B in the heart of the Cotswolds. With just two rooms this is an intimate property and the perfect bolthole for city types looking to escape! Stylish interiors complement period features, all set in beautiful gardens. Delicious breakfasts & supper on request. In the market town of Tetbury you will find The Close's grand grey stone façade. Dating back to 1535 and lovingly transformed into a stylish boutique hotel. Each of the 18 rooms is unique, ranging from pretty florals to dark country cheques with roll-top baths and views. A full English is included. Hideaway - Beautiful rooms, deep roll-top baths and breakfast in bed: there are so many reasons not to leave. Local markets - Held every Wednesday, Tetbury market stalls display a colourful array of locally produced foods. Sights nearby - The stately home of Cirencester Park will give you some serious 'house' envy. Great walks - Whatever the season Westonbirt Arboretum is alive with colour. A contemporary-chic manor house set on 55 beautiful acres, in the Cotswold countryside. Trendy rooms mix the best of both worlds, with original sash windows, high ceilings and fireplaces mixed with sleek handmade modern furnishings and bold colour combos. A sophisticated, fun country escape. Spa - Wide range of treatments using Green & Spring products. 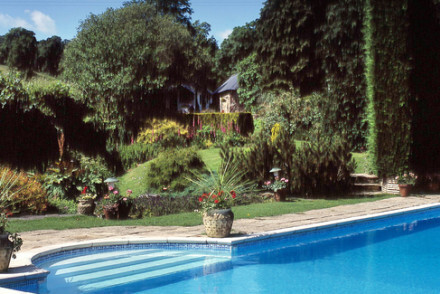 Swimming Pool - Outdoor and indoor heated pools. Great walks - 55 acres of parkland surround the proerty with natural springs, lakes, and Victorian cascades. The only thing ordinary about the Lion Inn is the name. Each of the eight rooms are beautifully presented with exposed beams and stone walls next to soft hues and knitted throws. There is an outdoor patio restaurant with seasonal menu and bar with fine wines and real ales. 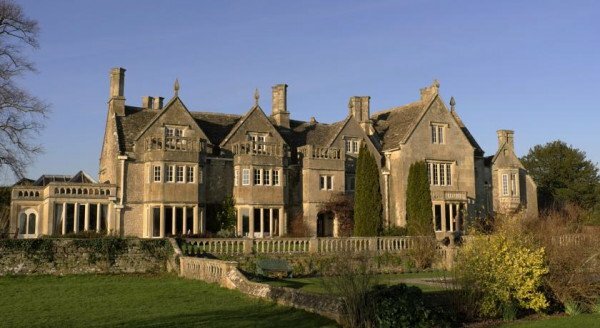 Sights nearby - The nearby Snowshill Manor is a warren of hidden treasures. 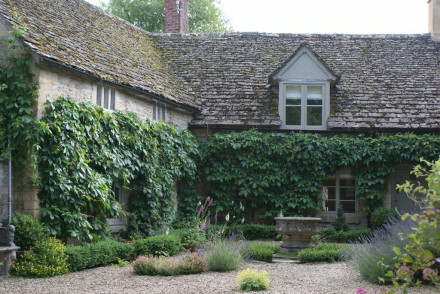 A charming 14th century manor house in Tetbury, Gloucestershire. Chic rooms feature bold wallpaper prints, soft tones, deep soaking tubs and trendy artworks. The beautifully landscaped gardens feature a range of family activities as well as a pool and spa. An elegant country retreat. 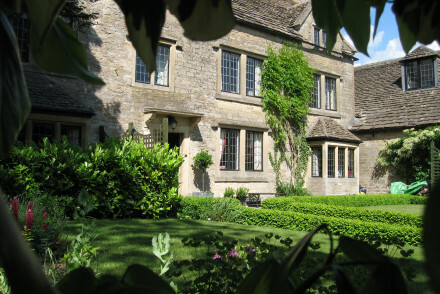 Lower Slaughter Manor is beautiful, but relaxed and unstuffy with it. The 19 rooms are all different, some featuring four-poster beds and stand alone baths, some with bold wallpaper and colourful fabrics, so consider a few before you make your choice. The restaurant serves gourmet meals. 16th century manor house in the centre of picturesque Moreton in Marsh. Classic yet contemporary rooms and Apple Cottage Suite with its own private garden and hot tub. Award winning fine dining. A chic yet relaxed spot and ideal base for exploring the Cotswolds. 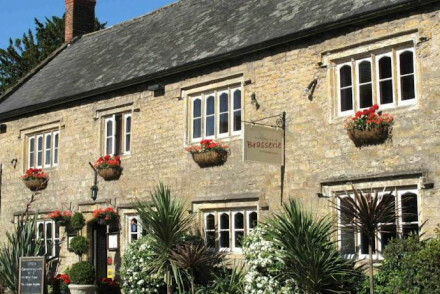 Sights nearby - Moreton in Marsh is the perfect base for exploring the Cotswolds, Bath or Oxford. 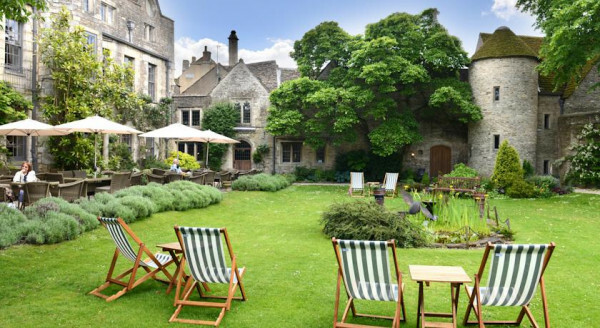 Popular, luxurious and imaginatively decorated converted inn - of which the Cotswolds abounds. Except the rooms here are super comfortable and the food exceptional. Family friendly. Great walks - Lovely local walks, and you can borrow their wellies. Dating back to 1740 this commanding double fronted Georgian property sits in a quintessentially Cotswolds village. Original features including flagstone floors, sash windows and open fireplaces are complemented with soft patterned linens and comfy beds. Locally sourced food is top notch. Fishing - Hook yourself a prize winning trout in the surrounding rivers and chalkstreams. Sights nearby - Cheltenham and Stratford-upon-Avon are both no more than 20 minutes drive away. Great walks - Walk a portion of the famous Cotswolds Way. 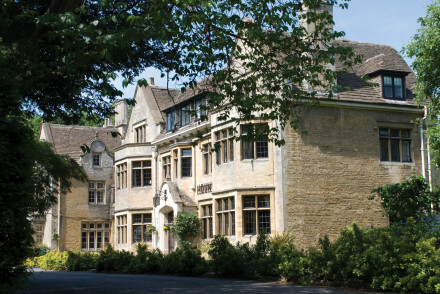 The Hare and Hounds is a traditional Cotswold country house hotel. The newly refurbished rooms and suites have an air of elegance and surround a delightful courtyard. The restaurant's creative menu is popular with locals and visitors alike. The best in comfort with its own country pub. Local markets - The historic Cotswold market town of Tetbury is only two miles away. A beautiful stone property in a quaint village. Beautifully renovated with white washed light rooms, some with four poster beds. A separate coach house for private events. Excellent British cuisine made from local produce. The ideal country retreat. Country Escape - A quaint village property with plenty of countryside pursuits such as fishing, shooting, walking and riding closeby. Fishing - The Nadder river is renowned for dry fly fishing, plus the hotel will even 'cook your catch'! 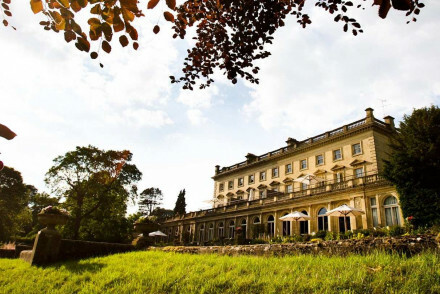 Great walks - Walk in the stunning Stourhead gardens and parkland, plus the hotel will pack you a lunch. Sights nearby - Stone Henge is nearby and a must for anyone passing through this area. 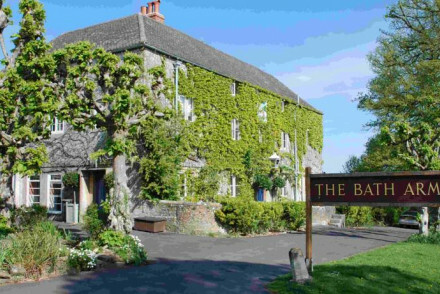 Nestled on the Longleat Estate, this stylishly decorated pub reflects the boho-chic of Lord Bath. 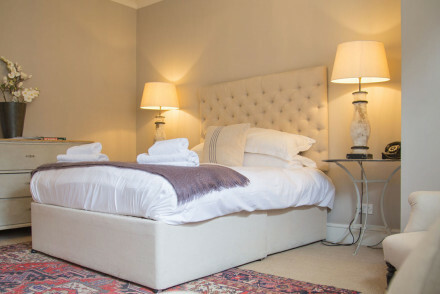 Modern and comfortable rooms above the quintessentially English pub serving traditional food. 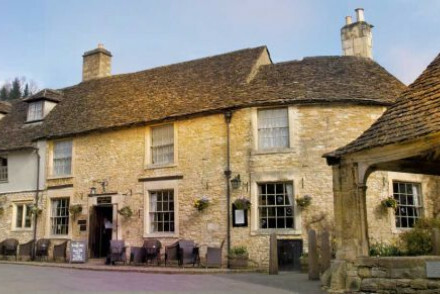 Located between Bath and Stonehenge, this pub is a great base for local exploring and family mini breaks. Families - Very child friendly, with extra beds, cots, highchairs and babysitting all readily available- plus Longleat next door! 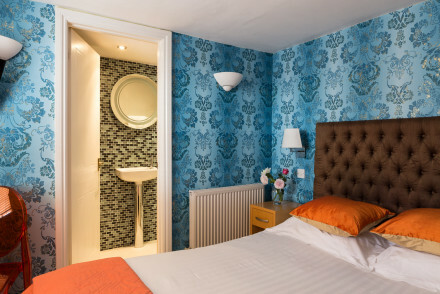 Value chic - With double rooms starting from as little as £115 per night including breakfast, The Bath Arms is excellent value. Sights nearby - On the Longleat Estate, with safari, extenisve landscaped gardens and spectacular Elizabethan House. Local markets - Frome farmers' market, on the second Saturday of the month, is one of the West Country's best. English country house turned hotel, resting on extensive grounds with a superb golf course, Michelin Star restaurant and the Full Glass Bar. Comfort, classic-design and charm make up the luxurious rooms. 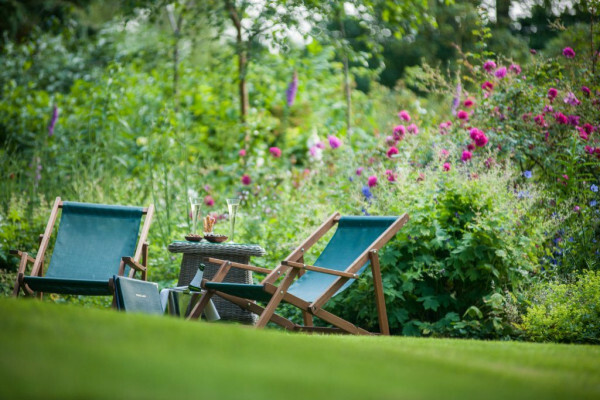 Relax in the garden, explore local Bath or delve into Cotswold countryside for adventures. 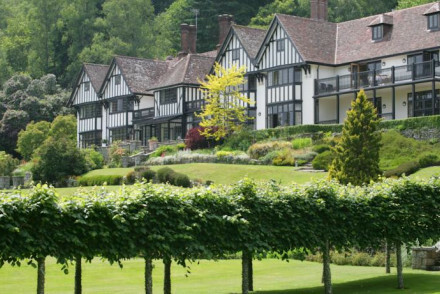 Active Holiday - With 365 acres of secluded parkland to explore, as well as fly-fishing, tennis, croquet and an 18 hole golf course. Foodies - Savour the delights of the Michelin starred Bybrook Restaurant- inventive, seasonal and utterly inspired! Fishing - Fly-fishing on the picturesque river meandering through the grounds is a must. Sights nearby - The Cotswolds and Bath are both stunning historical sites worth visiting. 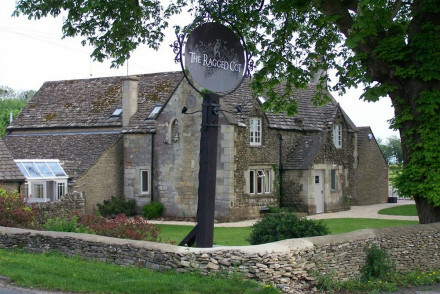 A wonderfully warm and homely 15th century inn in the exceptionally beautiful Lacock village. Newly renovated and bursting with character- think wonky beams, huge fires, antique beds, artful oak furniture and flagstoned passageways. The restaurant serves wonderful locally sourced cuisine. Heaven. Country Escape - Set in the National Trust village of Lacock and on the edge of the Cotswolds, this homely retreat is the perfect escape. 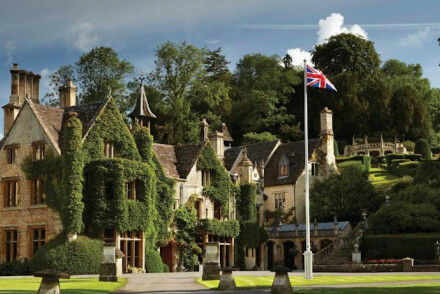 Great walks - Bring a packed lunch from the the hotel and exlore the picteresque Cotswolds with walks starting straight from the hotel door. Sights nearby - Visit the impressive Lacock Abbey, taking in the impressive building and extensive botanical gardens. Intimate English village Inn full of charm and history - an institution for 800 years. Renovated, elegant rooms are cosy and plush. Guests are welcomed by roaring fires, hearty meals, and beautiful surroundings. A country escape or a stopover en route further West. Romantic Break - Recently refurbished rooms are elegantly decorated with crisp linens and antique pieces, plus there's cosy dining in the bar. Country Escape - A picture perfect English country Inn, complete with inglenook fireplaces, flag-stone floors and heavy wooden beams. Great walks - The hotel has compiled a range of walks starting from the doorstep. Sights nearby - Stonehenge is a short drive away and well worth checking out. 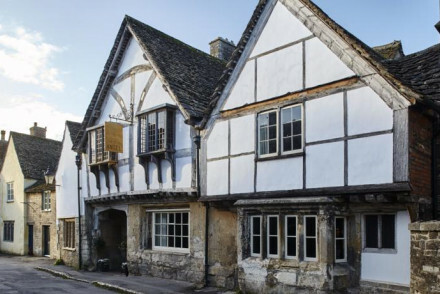 Local exploring - Explore the rows of Cotswold stone houses, medieval church and 14th-century Market Cross in this charming town. Back to Nature - From this quaint, historical town you can explore Wiltshire countryside at your leisure. Sights nearby - The village of Castle Combe has hardly changed since the 15th Century and is a popular setting for Hollywood blockbusters. Fishing - Don't forget to bring your rods and flies, there is wonderful fishing on the Bybrook river. A luxury country home full of character. High ceilinged rooms are adorned with chandeliers and four poster beds. The surrounding parkland and gardens are painstakingly up kept. A spa, indoor pool and outdoor plunge pool aid relaxation. The fine dining restaurant is headed by a Michelin Star chef. Active Holiday - Plenty of countryside persuits for the sporty types with clay pigeon shooting, riding, tennis, archery, and falconry. 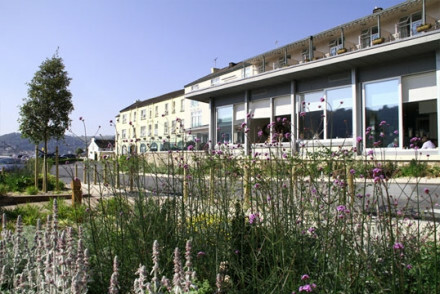 Foodies - Executive Chef Hywel Jones runs the Michelin starred The Park, as well as the award winning cookery school. Cooking classes - Learn to whip up your favourite dishes from The Parks' menu at the in house cookery school, a lovely way to pass a rainy day! 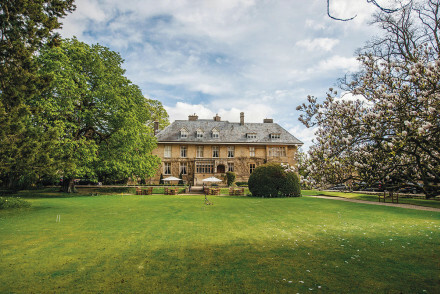 Sights nearby - Bath is only six miles away- if you can tear yourself away from the endless entertainment at Lucknam Park. 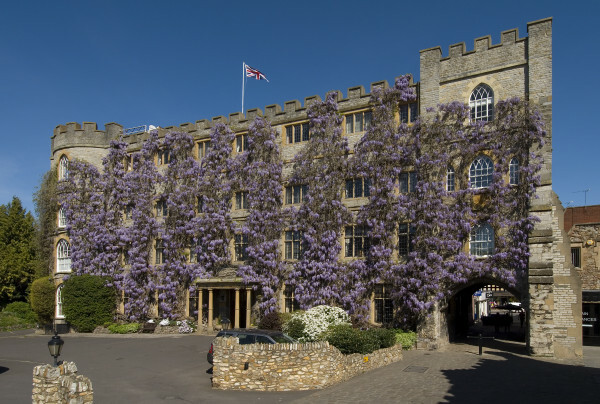 Set in deep Cotswold countryside, this Relais and Châteaux hotel is definitely suited to both a young clientele and the wealthy retired. Perfect romantic getaway. Dog but not family-friendly. Two hours from London. Ideal for gourmets and those with green fingers. 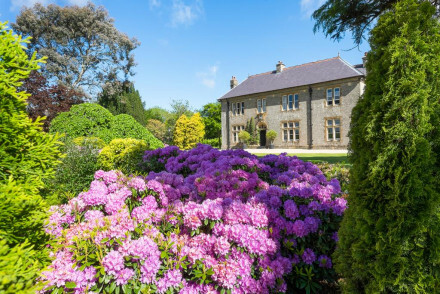 Jacobean Manor turned luxury family retreat in stunning gardens with pools. Comfortable, modern rooms are a great welcome after a day of activities. The restaurant caters to all dietary needs and occasions. Children clubs, games rooms, gardens and more gives parents a chance to relax at the spa. Families - Ideal for families with babysitting, kids hang out zones, an Ofsted-registered playroom and plenty of activites on the grounds. Hideaway - With the spa, pool table, table football, extensive grounds, yummy food and homely rooms, you'll find it impossible to leave. A 1620s country house turned into an intimate, charming and immaculately kept three-bedroom B&B. Comfortable, cosy rooms. Locally sourced and delicious breakfast served in the dining room or garden. 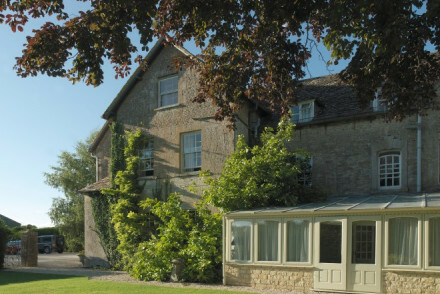 Pop to nearby Bath, enjoy the fresh country air or relax by the crackling fire with your book. Local exploring - The friendly staff will guide you to the best local market towns and countryside ramblings. Sights nearby - Only nine miles away from the famous "White Horse" at Westbury. Great walks - Enjoy the Wiltshire and Dorset countryside. Stylish, informal listed period house, renovated by ambitious owners into a mellow bolthole. Each of the 12 rooms is spacious, light & elegant – a blend of antique and contemporary. 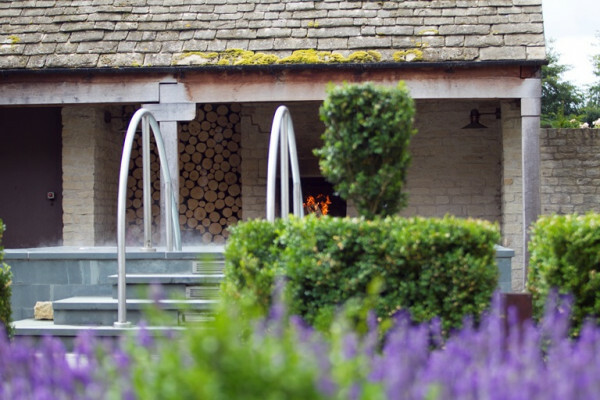 A relaxed retreat & a perfect base for exploring the Cotswolds with an excellent restaurant and large pool. Foodies - The restaurant supports the Slow Food Movement, so all produce is locally and responsibly sourced- you can taste the difference! Total relaxation - Curl up on the soafas with the papers, or move it to the bedroom for a movie fest and a massage! Great walks - The wellies lining the hall are testiment to the fantastic walks around here, ask your hosts for their favourite. 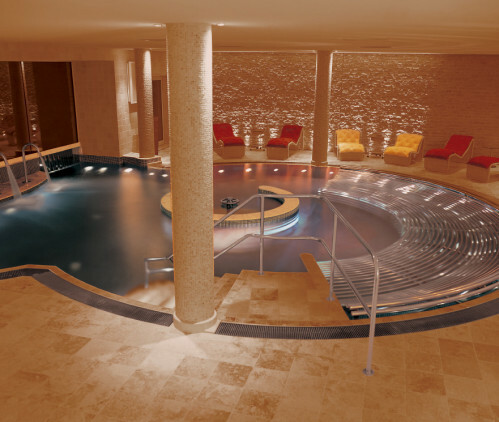 A one of a kind thermal spa hotel in the heart of Bath. Each bedroom is elegantly decorated with period details and contemporary features. Luxurious bedding and modern appliances provide extra comfort. The hotel has a fine restaurant, chic bar and a pleasant afternoon tea lounge. Since the 12th Century this Norman Fortress has opened its doors to travelers with immaculate hospitality and spectacular countryside spot. Comfortable, classically decorated rooms offer all the mod-cons. BRAZZ, the contemporary brasserie and locally popular Bow Restaurant offers a range of dishes. Families - A great family stay, babysitting is available and the kids will love the novelty of staying in a castle with a moat to boot! Great walks - The nearby Hestercombe Gardens are recommended from those that know the area, plus the hotel will pack you a lunch. 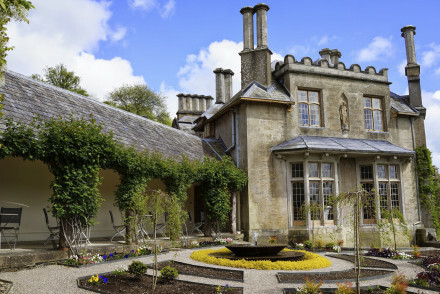 An award-winning restaurant with rooms set in three-acres of beautiful Somerset gardens. This unpretentious property is intimate and relaxing, with comfortable rooms and hideaway qualities. Enjoy the wine list and delicious, seasonal dishes on offer. A great place to explore English countryside. Foodies - They have won a Double Gold Award from 2014 Taste of The West Awards, not to mention the extensive winelist. Total relaxation - Wonderful food, charming rooms and unbeatable service ensure you will leave refreshed. 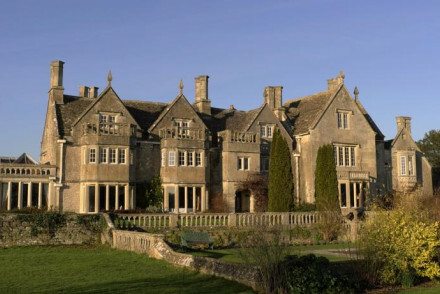 Sights nearby - Plenty of historic houses in the area including Minterne, Mapperton House and Gardens & Sherborne Abbey. Great walks - Explore the 3 acres of beautiful mature gardens, or ask your hosts about walks further afield. 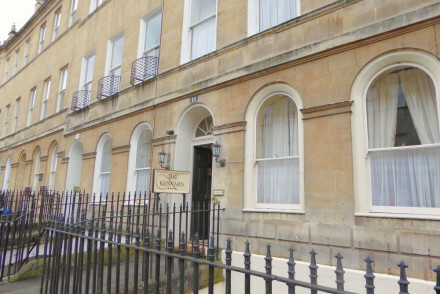 Excellent value town centre hotel a stone's throw from the best that Bath has to offer. No restaurant, but in this city there's plenty of choice elsewhere. Great for families and those on a budget. Private Hot Tub - You can hire the courtyard hot tub by the hour for private usage. Quintessentially English Georgian Inn nestled in the Dorset/Somerset countryside welcomes guests with winter fires, bare boards and comfortable rooms. Enjoy the Moor Queen’s on tap and extremely enjoyable food. A little country treasure, with great walks from the front door. Foodies - They rear their own pigs, sell their own eggs, as well as dry-curing and smoking their meats and fish- local, seasonal heaven! Value chic - Well priced elegant rooms with an even better priced gourmet cuisine downstairs, a real find. Sights nearby - National Trust properties close by include King Alfred Tower, Lytes Cary, Tintinhull House, Forde Abbey and Montacute House. Great walks - For a lovely long walk Macmillan and Monarch ways are close by, plus the pub will pack your lunch. 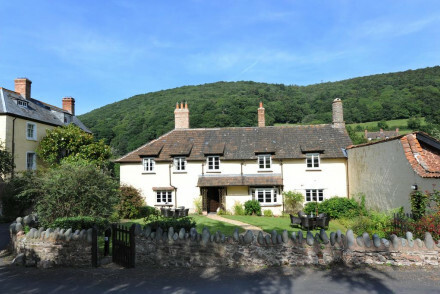 Picturesque and quaint, Cross Lane House is a charming B&B amidst the rolling beauty of Exmoor National Park. Individually decorated rooms have a homely, welcoming feel with comfortable beds and elegant decor. Sample delicious seasonal recipes in the hotel's restaurant. A stellar Somerset stay. Great walks - Excellent walking in the surrounding Exmoor National Park. Sights nearby - Visit the nearby Dunster Castle. A traditional grand chain hotel but in a central location. The original offering from the Soho House Group, a stunning Georgian house and grounds set in beautiful Somerset countryside. Immaculately chic interiors with individually designed rooms and suites. Understated elegance and five-star luxury. Bar, restaurant, spa, and cinema. A charming Georgian townhouse in the heart of Bath, minutes from the sights. The hotel stays true to its history with ornate decor and a pretty Jane Austen inspired garden. A splendid breakfast is served in the chandelier decked dining room. Perfection, at a very reasonable price. Local markets - Nearby Pulteney Bridge is one of a handful of historic bridges in the world with shops built into it. Great walks - Guests are welcome to take a stroll in the lovely Georgian Garden. Sights nearby - Just minutes from the Roman baths and Thermae Spa. Restrictions on children - Children over eight years are welcome. This former hunting lodge, overlooking the village green, is an intimate stay for food and nature lovers. Rooms are contemporary and light offering en suite bathrooms. The restaurant prides itself on using only the finest produce and a menu revolving around this, matched with a well-stocked bar. Country Escape - With fantastic gourmet pub food, a fine selection of booze, comfy beds and plenty of outdoor activities. Birdwatching - Witness the yearly starling murmurations, where Somerset starlings flock together over the Levels. Great walks - Get out and explore the coastal walks all along the Somerset Levels. A chic and sophisticated restaurant with rooms in the quaint town of Frome. Contemporary rooms still feature exposed beams and stone yet new frescoes and freestanding baths now hold centre stage. A wonderfully renovated restaurant serves exemplary cuisine. Great for a weekend away. Foodies - A trendy restaurant serving up excellent local cuisine in an old hay barn, with French windows leading out to a sunny courtyard. Sights nearby - Visit Stourhead and wander around its pretty gardens and surrounding forests that house Alfred's Tower. Great walks - A perfect base for exploring the charming historic market town of Frome. Style and exceptional service on the Dorset coast. 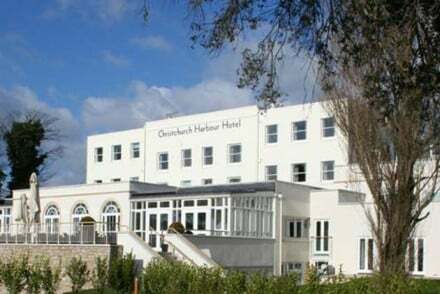 The newly refurbished Christchurch Harbour Hotel offers smart bedrooms, excellent food, pampering spa and wonderful views. Perfect for an indulgent break by the sea. Kayaking - Complimentary single and double kayaks available for the guests to use. Superb private country house with stunning views. Cosy and stylish decor with oh so comfy beds. Enjoy the very local produce for breakfast whilst surrounded by lovely countryside. Ideally situated for walkers in an Area of Outstanding Natural Beauty. A charming spot for a country escape. Country Escape - A country house with charming hosts, sweeping views of the Dorset countryside and fragrant flower filled gardens. Sights nearby - Visit any one of the many local stately homes including Mapperton House and Gardens, Forde Abbey & Gardens or Montacute House. Great walks - Take your pick of rolling hills or stunning coastal walks on the beach or headlands (20 minutes drive). Local markets - Shop in the local market towns of Sherborne, Beaminster, Crewkerne and Bridport. 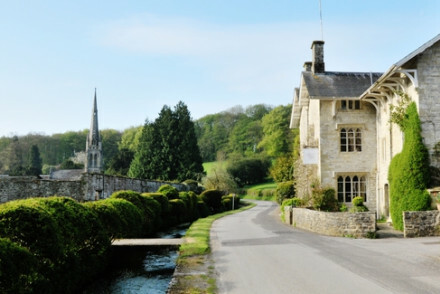 Stylish country hotel ideal for a weekend break in Dorset. 23 rooms are ultimate shabby chic with four-posters, wooden floors, stand alone bath tubs. Gourmet restaurant uses produce fresh from the kitchen garden. Miles of English coastline to explore and stunning views. The perfect getaway. A slice of old England served with China tea. 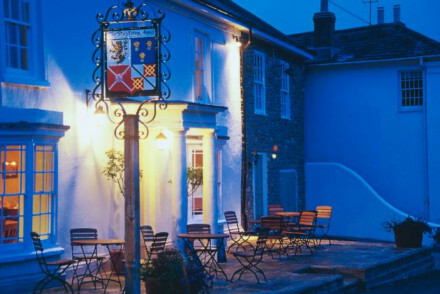 A peaceful and romantic hotel in lovely Wareham on the edge of the Isle of Purbeck. Classically styled rooms and a beautiful garden. Plenty of great excursions for adults and older kids. Local exploring - From the Saxon town walls of the ancient market town of Wareham to the rolling Dorset countryside there is plenty to see. Great walks - The lovely gardens slope down to the River Frome, a perfect starting point for an afternoon stroll. Sights nearby - Check out nearby Corfe village with the spectacular ruins of Corfe Castle, only a few miles away. Renovated country town hotel. Cosy atmosphere with wooden beams and open fireplaces. 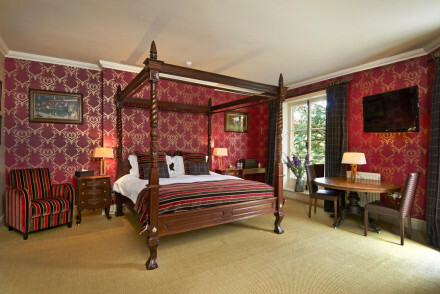 Traditional and romantic rooms with dark hues and four poster beds. Award winning restaurant and some of the most picturesque countryside in the UK. Ideal for a country weekend away. Country Escape - A perfect country house hideaway, with cosy fires, excellent food, old oak beams, Georgian panelling, and wonderful walking. Great walks - The Jurassic Coast on your doorstep, throw on the wellies and head out rambling- don't forget your packed lunch. Sailing - The hotel arranges RIB rides along the Jurassic coast from West Bay to Lyme Regis. 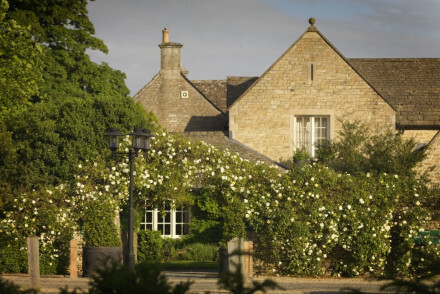 A Hardy-esque country house turned hotel, surrounded by lovely gardens and spectacular countryside. Luxurious rooms boasts elaborate floral fabrics and plush furnishings. The gourmet restaurant is not to be missed, nor the extensive bar. A cosy countryside base, complete with pool, spa and tennis. Foodies - The dream team of Head Chef Steven Titman and world-renowned Sommelier Eric Zwiebel make dinner an unforgettable experience. Romantic Break - Let your romantic side out with candlelit jacuzzi sessions, in room champagne and rose petals on the bed. Great walks - Borrow wellies for strolls around the English garden or the adjoining deer park teeming with wildlife and natural beauty. Private Hot Tub - Ivy Cottage features a private outdoor hot tub. 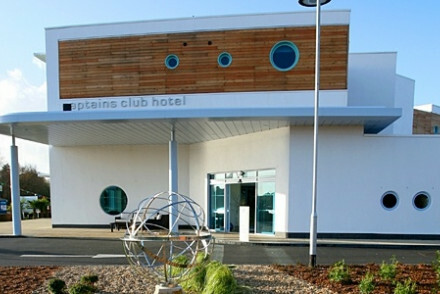 A modern seaside hotel on the banks of the River Stour in Christchurch. Self-catering rooms and suites have fully equipped kitchens, modern furnishings, and balconies with views. Top of the range spa and therapies, terraces, good restaurant, and plenty of local activities. Very family oriented. 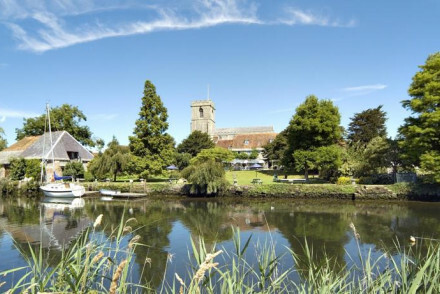 Riverside - Perfectly set on the banks of the River Stour. Sights nearby - Poole Harbour, one of the world's largest natural harbours, is 15km away. A reinvention of the English country pub, boutique style. Original highlights - wooden beams, inglenook fireplaces - retained, with addition of stylish, freshly designed rooms. The gourmet pub food has gained a reputation for Sunday Roasts, inspired menus and a breakfast fit for a king. Foodies - Locally sourced, responsibly reared meats, veggies from the back garden, homemade pork pies, scotch eggs and relish- heaven! Families - Child and dog friendly, with kids menu, highchairs, crayons, and plenty of fun countryside activities. Great walks - They will show you where to go, supply you with wellies, umbrellas and picnics- so get out there and explore! Local markets - Towns of Shaftesbury and Gillingham both have markets to explore. 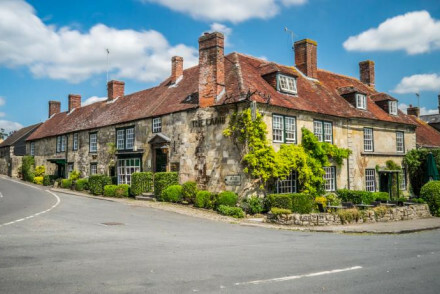 The Museum Inn is an award-winning country pub located in a picture-postcard village in rural north Dorset. Eight individually designed rooms either in the main house or converted stables feature plush decor with Bramley bathroom accessories. Plus a separate large cottage for families or groups. Foodies - Both gastropub and fine dining options at the Museum Inn offer locally sourced, wholesome food, expect game from nearby shoots. Groups - Moles cottage sleeps up to 16 and is popular with shooting parties in the season and families in the summer. Traditional - There is a period feel throughout the Museum Inn, with flagstone floors & roaring fire in the bar and antique furnishings. Fishing - Damerham Fisheries offers Trout fishing and Gorcombe Farm boasts fishing, clay pigeon shooting and archery. This grand Georgian property provides a stylish stay. Inside it is a sympathetic blend of traditional architecture with modern furnishings. Rooms are decorated with velvet headboards, sumptuous armchairs and luxurious bathrooms. The gourmet restaurant has a seasonal delicious locally sourced menu. Sights nearby - The historic Christchurch Priory Church, Christchurch Castle and Highcliffe Castle are within walking distance or very close. Great walks - The many pathways of the Jurassic Coast are on your doorstep. A boutique hotel with the charm of a British pub. The cliff top position makes for stunning views. Chic white washed rooms mix traditional features with modern simplicity. Hearty gastro-pub styled food is served at the restaurant. A glorious spa. An excellent choice for a family holiday. Total relaxation - Lazy days eating seafood on the terrace, followed by customised holistic treatments in the spa using Yon-Ka products. Families - Three cottages with three, four or five rooms are ideal for families. Great walks - Jump onto the South West Coast Path National Trail spanning for 630 miles through stunning landscapes. Fishing - The Inn provides rods for the pier and nets for fishing in rock pools. Historic shooting lodge offers an intimate, Olga Polizzi styled stay. Relax in the stunning grounds or in the library. Beautiful rooms overlook the valley and stretch of private river. Italian meets Spanish cuisine with Jose Graziosi's delicious dishes. Good for outdoor-types and families. Families - Babysitting and monitors available plus such delights as picnics (complete with lanterns and blankets) in the grounds. Honeymoons - Fairytale suites, gourmet cuisine, cosy fireside sofas and incredible grounds for strolling hand in hand- enchanting! Country Escape - Extensive grounds for fishing, shooting, and rambling, plus plenty of comfy armchairs for the weary walker! Sights nearby - The National Trust and its stately homes make for a great day exploring - Cothele House, Saltram House and Castle Drogo. 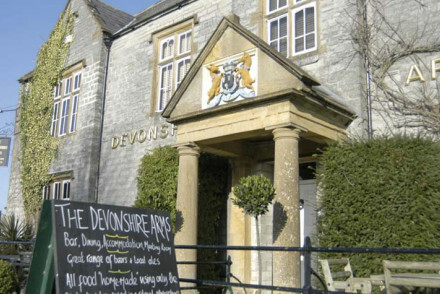 A very relaxed hotel nestled in the Devonshire countryside. A secluded escape with well-styled rooms and excellent, locally-sourced food. Guests can take many delightful walks to local beauty spots within Exmoor National Park. The perfect place for a quiet weekend away. Fishing - Woolacombe Beach is just a 30 minute drive away. Great walks - 500 metres from the Exmoor coastal path. Surfing - On nearby Woolacombe Beach. Kayaking - Can be arranged locally. Situated down a quiet country lane amidst 28 acres of Devon's finest countryside you might just miss this property. From her famous full English to the old school country charm, owner Maureen runs an idyllic B&B. There is a pool and most rooms have a working log burner and private terrace. Sights nearby - The National Trust properties of Lydford Gorge, Cotehele House and Buckland Abbey are all worth a visit. Back to Nature - Spot the odd deer or pheasant wondering past from the comfort of your own bed or private terrace! Local markets - Open six days a week you have no excuse not to visit the 900 year old Pannier Market. Quiet and secluded country house hotel overlooking peaceful rural landscape. Primarily a restaurant with rooms the chef serves up quality food inspired by the local produce. Charming rooms feature chintz fabrics and wooden beams. Established sweeping gardens. Ideal for a relaxing weekend. Country Escape - A beautiful country property with roaring fires and homely feel, set in a charming village with spectacular views over Dartmoor. Foodies - Excellent cuisine making use of all that Devon has to offer from local partridege, to homemade chutney with West Country cheese. Great walks - Some of the most beautiful Devon walks start from very near the manor such as Germansweek Trail and Tetcott Trail. Fishing - Fish for salmon, sea trout, brown trout, grayling and coarse across a number of sites in Devon and Cornwall. 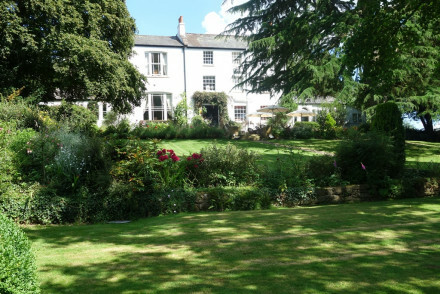 Super luxurious and pampering Dartmoor retreat, on 107 acres of mature grounds. The plush rooms come with antique furnishings, original art and huge sash windows. The Michelin stared food is served in an atmospheric and grandiose dining room. Peaceful, restful and totally heavenly. Great walks - There are inumerable lovely walking trails both on thr 107 acres of mature grounds and on nearby Dartmoor. 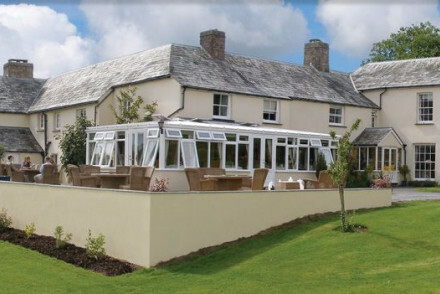 A truly English hotel overlooking Dartmoor, close to the Cornish border. Beautiful gardens, sloping down to the river, with an award winning fishing school. 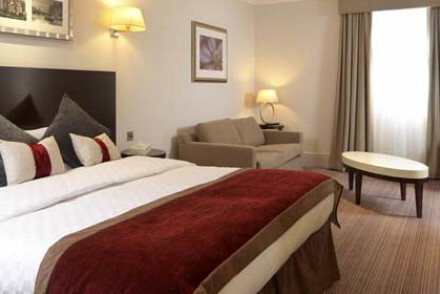 Spacious and comfortable rooms with sleek country house interiors. Dine on local produce at the award winning restaurant. Bliss. Foodies - Award winning restaurant, run by famed head chef Steven Pidgeon- plus a fine wine list and spectacular service. Active Holiday - Perfect for an active holiday with plenty of fishing, walking and shooting available in the local area. Great walks - Close to Dartmoor - true definition of English countryside, with plentiful walks for all levels of commitment. Fishing - On a 20 mile stretch of the River Tamar with private fishing rights and equippment for guests. 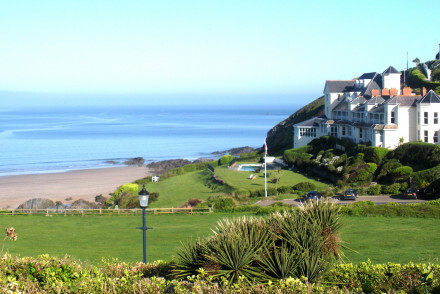 Classic seaside hotel with fabulous views over the North Devon coast. Tastefully refurbished rooms reflect the beach side location and the restaurant offers delicious food sourced from local ingredients. An romantic hotel for a seaside break and ideal for a family holiday too. This property, in Dartmouth's buzzing harbour has a luxury spa and an AA Rosette awarded restaurant. 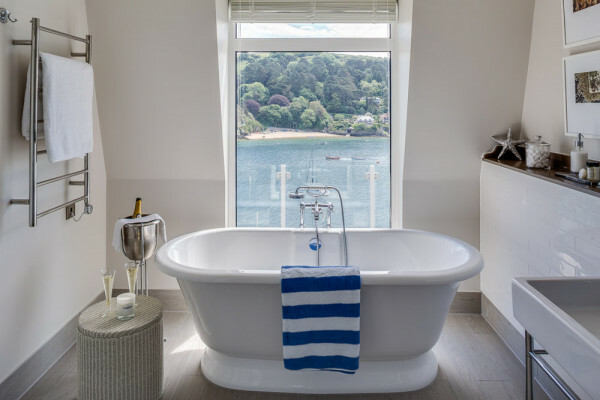 Chic rooms in pale palettes are bright with large windows overlooking the River Dart. There are also self-contained apartments. 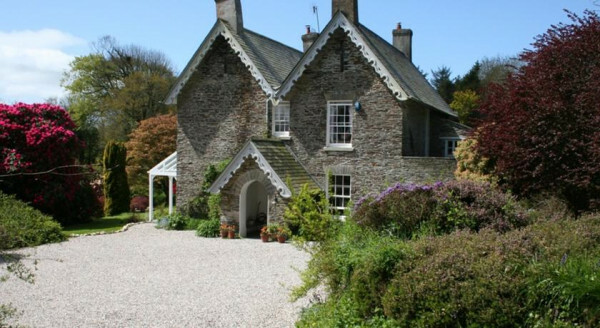 This property is perfectly located to explore Dartmoor. Sailing - This hotel is places perfectly for sailing enthusiasts of all abilities. Sights nearby - Dartmouth and Kingswear Castle are both nearby and a great day out! Kentisbury Grange, a converted manor house, situated in pretty gardens on the edge of Exmouth National Park. Rooms are contemporary in style with crisp white linen, roll-top baths and soft hues. Boasting a superb restaurant by Michelin-starred chef Michael Caines. The ideal country escape. Foodies - Boasting an award winning restaurant headed by Michelin-starred chef Michael Caines. 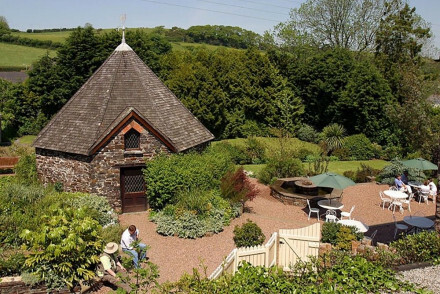 Country Escape - A charming rural property in the pretty county of Devon. Sights nearby - Make a trip to the pretty coastal villages of Lynton and Lynmouth. Great walks - Explore the miles of trails that run through Exmoor National Park. 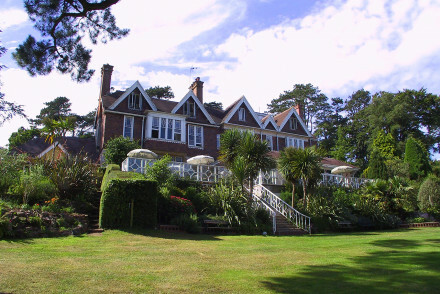 Georgian manor house hotel, overlooking Lyme Bay. Most of the spacious rooms feature Mediterranean views across Torbay. The decor is vintage chic with antique furnishings and bold print wallpaper. Excellent food, secluded lawns and peaceful porches, a haven. Great walks - Exe Estuary boasts miles of cycle and foot paths, exceptional views, beauttiful sandy beaches and is teeming with wildlife. Private Hot Tub - Book the Garden Suite for your own private terrace with outdoor hot tub and wonderful sea views. Sights nearby - Torre Abbey and The Agatha Christie Mile are both nearby and great informative day trips! 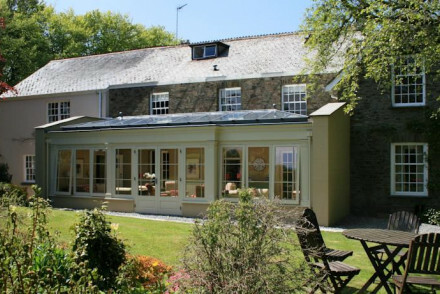 Luxury and elegance make up this country house in rural Tamar Valley on the edge of Dartmoor - a peaceful stay in stunning grounds. Modern, comfortable rooms are unique in style and capture the view. Fine dining at the 2 AA Rosettes restaurant. A perfect adult retreat. Groups - If you want your own country house just for the weekend then this is the place for you. Exclusive use is avaliable. Foodies - The award winning restaurant tantalises your taste buds with its locally sourced, seasonal and inventive menu. Great walks - With all of Dartmoor on your doorstep there is no excuse for sitting inside. Sights nearby - Dartmoor National Park and The Eden Project are both nearby. 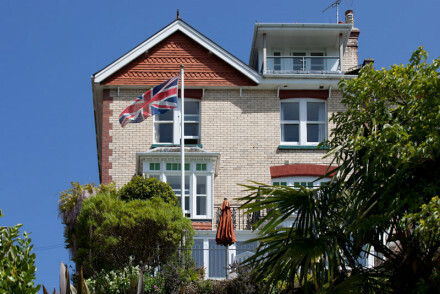 Charming guesthouse overlooking Dartmouth with great estuary views. The warm, elegant rooms have been lovingly decorated and boast Egyptian cotton sheets, fluffy towels and award winning views. Gourmet dinners offered four nights a week and cooking lessons are available. Cooking classes - Guided tour with Kit to buy food from local suppliers, learn how to prepare it with a glass of wine in hand, and finally eat it! Great walks - Lovely walks along the South West Coast Path in either direction, or walk up the river Dart as far as Totnes. Fishing - Take a fishing trip out to the Skerries to catch Plaice or Pollock.